A call for egalitarian distribution of wealth and power to safeguard the environment and address climate change. 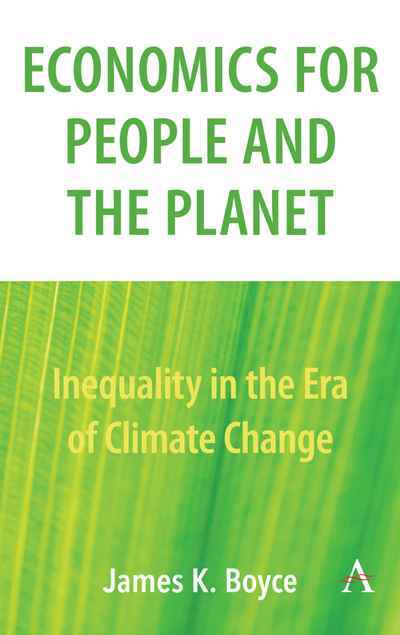 ‘Economics for People and the Planet’, a collection of essays by James K. Boyce on the environment, inequality and the economy, argues that there is not an inexorable trade-off between advancing human well-being and having a clean and safe environment. The goal of economic policy should be to grow the good things that improve our well-being and environmental quality and reduce the bad things that harm humans and nature. To reorient the economy for these ends, we will need to achieve a more egalitarian distribution of wealth and power. Global climate change – the most pressing environmental challenge of our time – adds urgency to this task and creates historic opportunities for moving towards a greener future.